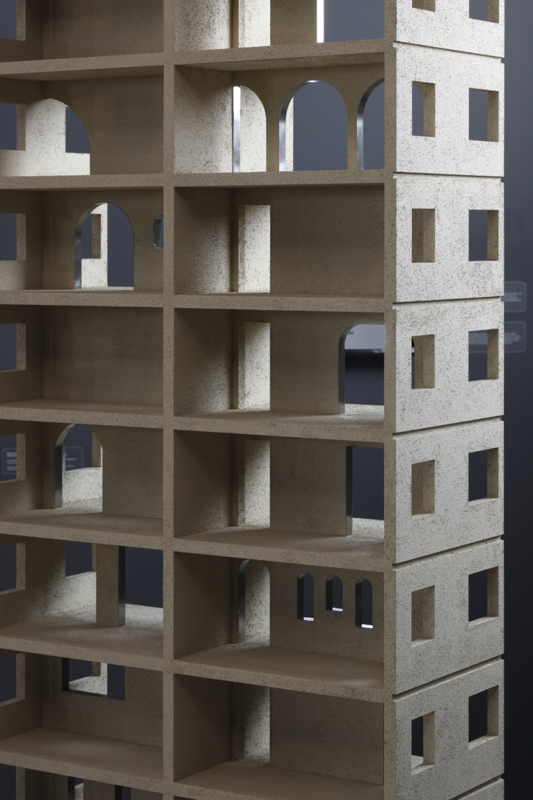 From February 1 to March 27, the ISSP Gallery in Riga will host «Together and Apart» — an exhibition about apartment buildings. 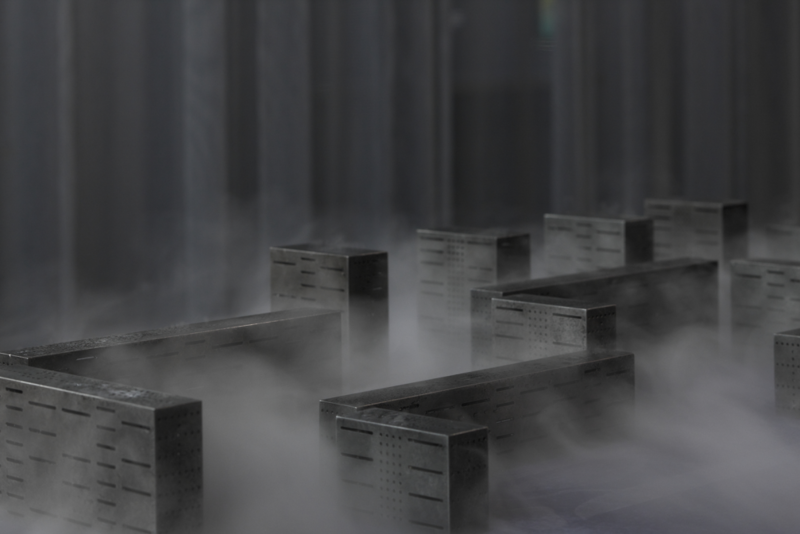 The show will represent a part of the Latvian national contribution to the Venice Architecture Biennale in 2018. 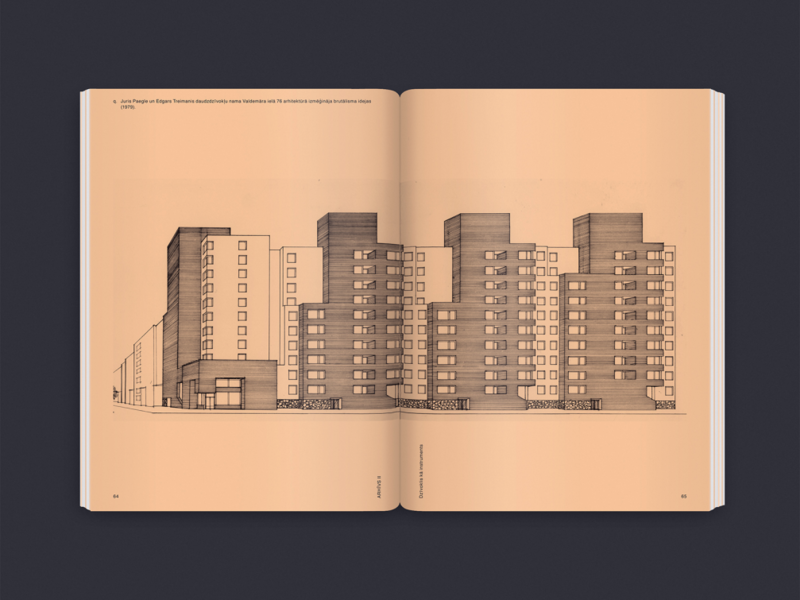 A new book on the role of the architecture of apartment buildings in the economic, political, and social landscape of Latvia will be published alongside the exhibition. The ISSP Gallery in Riga is open Tuesday through Saturday from 12.00 to 18.00, except Wednesdays when it closes at 20.00. 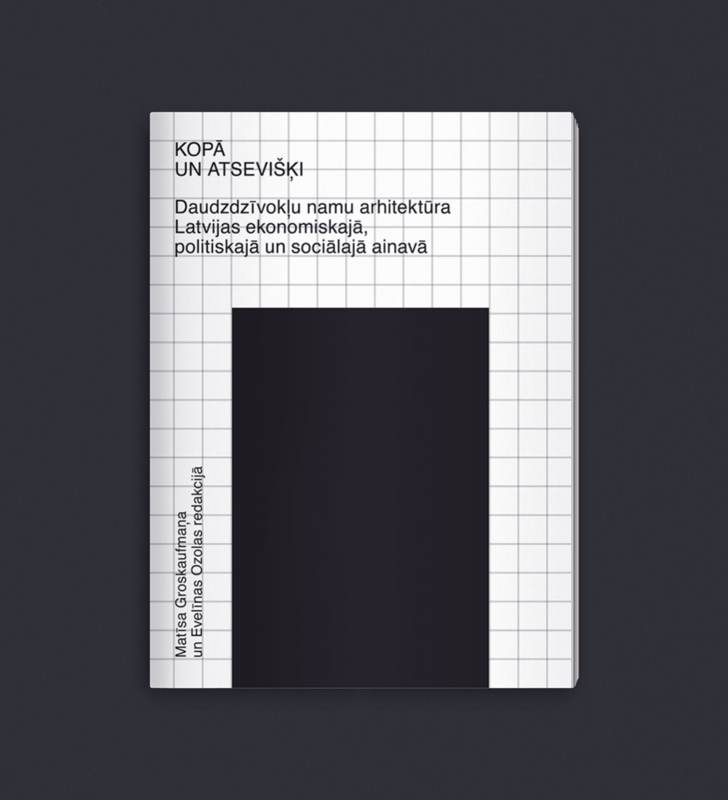 A new book will be published alongside the exhibition — «Kopā un atsevišķi: daudzdzīvokļu namu arhitektūra Latvijas ekonomiskajā, politiskajā un sociālajā ainavā» («Together and Apart: The Architecture of Apartment Buildings in the Economic, Political, and Social Landscape of Latvia» — in Latvian), edited by architects Evelīna Ozola and Matīss Groskaufmanis. 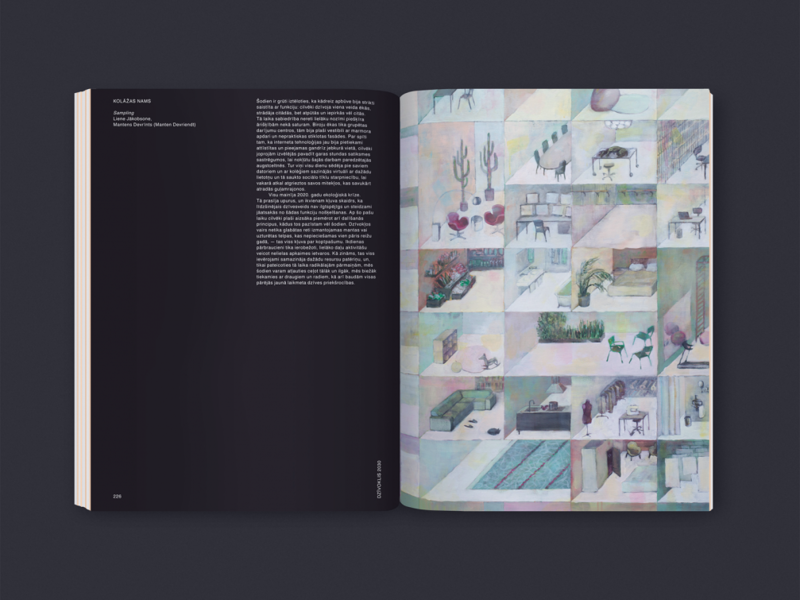 The illustrated volume looks at the role of the apartment in the complex relationship between an individual, the state, and the market in various historical periods, today, and in the foreseeable future. The list of authors includes historian Mārtiņš Mintaurs, architecture critic Ieva Zībārte, economist Pēteris Strautiņš, researcher Renata Tyszczuk, as well as both editors of the book. Invited by the editors, several practicing architects and architecture offices have provided their speculations on life together and apart in the next decade and beyond. With this publication the editors hope to activate discussions and projects that would render affordable, high quality and brave residential architecture a common practice, not just an exception to the norm. 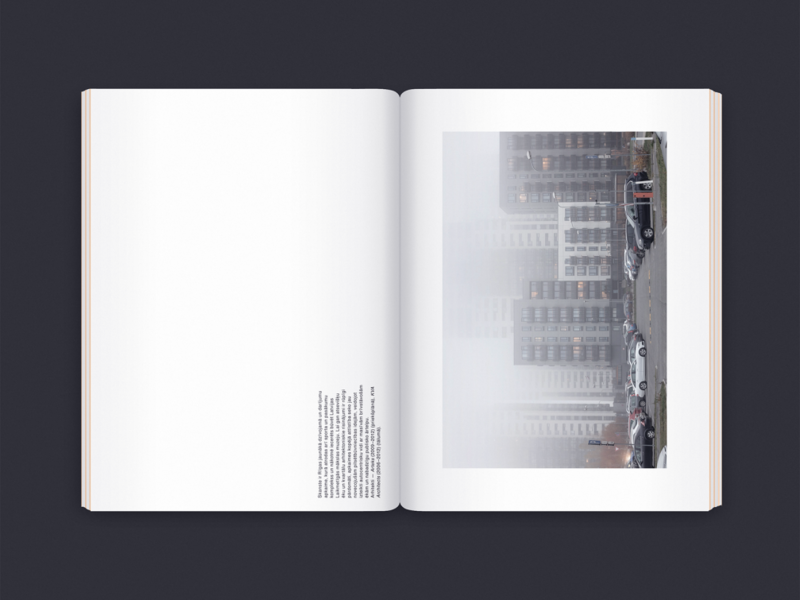 The Latvian publication includes parts of the English volume «Together and Apart: An Inquiry into Apartment Buildings», published on the occasion of the Latvian Pavilion at the 16th International Architecture Exhibition of La Biennale di Venezia. 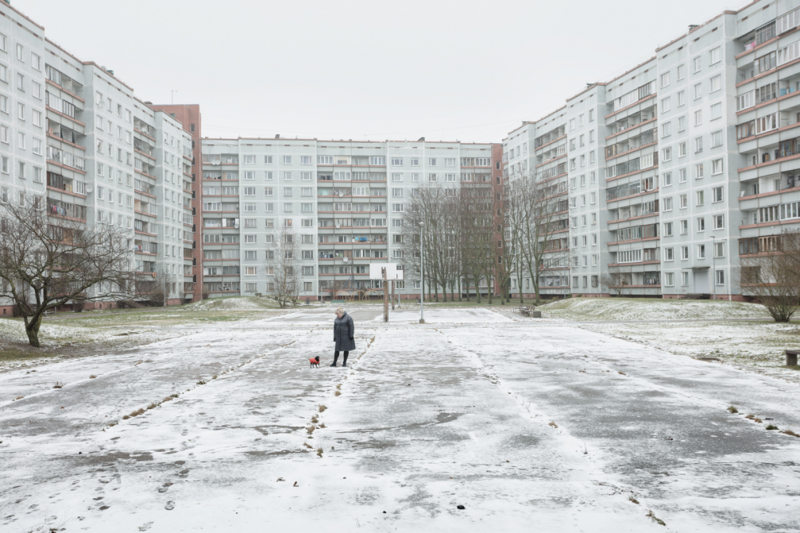 Beginning next week, the books «Kopā un atsevišķi: daudzdzīvokļu namu arhitektūra Latvijas ekonomiskajā, politiskajā un sociālajā ainavā» and «Together and Apart: An Inquiry into Apartment Buildings» will be available at the ISSP Gallery, book stores «Mr. Page» and «Valters and Rapa», and art gallery «Istaba». Matīss Groskaufmanis, Gundega Laiviņa, Evelīna Ozola, Anda Skrējāne, Reinis Hofmanis, Ivars Drulle, Darja Meļņikova, Dita Pāne, Mārtiņš Dušelis, Charlotte Spichalsky. Evelīna Ozola, Matīss Groskaufmanis, Ivars Ījabs, Kārlis Sils, Kārlis Ratnieks, Mārtiņš Mintaurs, Ilze Martinsone, Pēteris Strautiņš, Linda Leitāne–Šmīdberga, Błażej Czuba, Ieva Zībārte, Renata Tyszczuk, Toms Kokins, Niklāvs Paegle, arhitektu biroji «Sampling», «Gaiss», «Ruume» un «MADE arhitekti», Reinis Hofmanis, Sander Ettema. 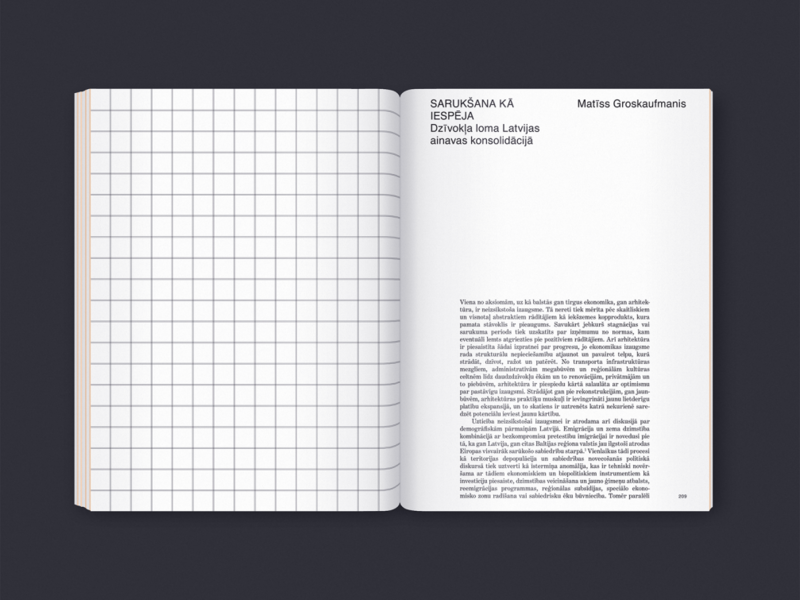 The exhibition and the book are produced by FOLD in collaboration with the New Theatre Institute of Latvia and ISSP.